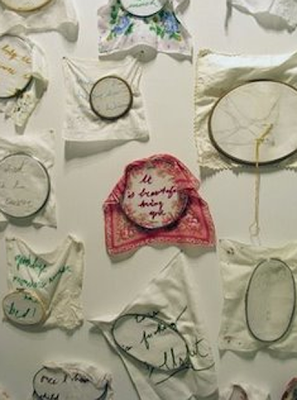 I just came across these two artists who use fabric and thread to make statements about their lives. 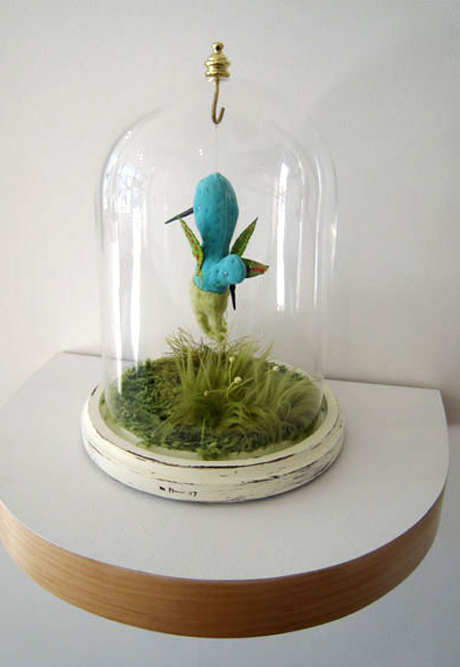 The theme of domesticity is apparent in these handmade pieces by Joetta Maue. Her art statement says,"I use my daily life as the main subject of my work with the idea of the work being honest, even painfully so, coming from my desire to be true to my emotions, insecurities, strengths, and intelligence without fear of ridicule or censure from a patriarchal society." 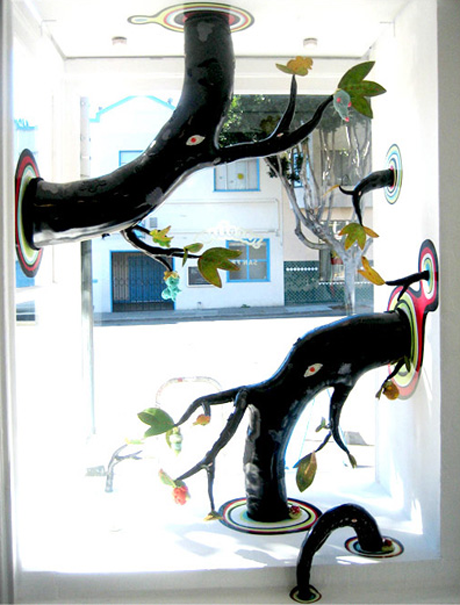 I think her work is very emotional and pushes the boundaries of art-making. Here are some examples of Joetta's work. 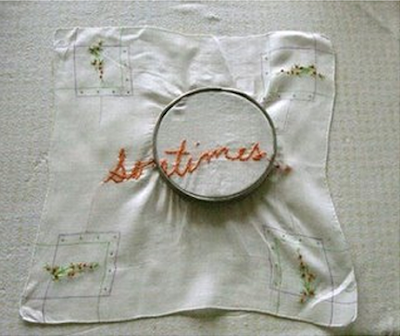 Martha Sue is a San Francisco artist who also uses sewing to express some of her ideas. A quote from her website states that her "deviant vision of botany illustrates relationships and issues within the plant kingdom, but is equally imbued with insights into human emotion and interaction." Her work reminds me of a bizarre but wonderful dream. I can't help but think of Alice in Wonderland when I look at it. Here are some pieces by Martha Sue. These are so inspiring. I love when fiber artists push the boundaries of traditional craft into art. gorgeous and interesting...i especially love that last piece. Joetta work is beautiful and she is lovely and kind.